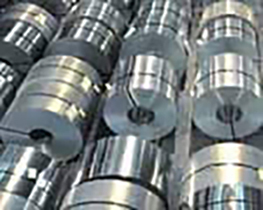 Aufhauser Stainless Steel Welding Wire products are subjected to rigid quality control throughout the manufacturing process with particular attention given to cleanliness, concentricity and helix of the finished product. Our stainless steel products are precisely produced to conform to the requirement of AWS A5.9. ER 308 Welding wire frequently used for TIG, MIG and submerged arc welding of un-stabilized stainless steels such as Types 301, 302, 304, 305, 308. It is used for general purpose applications where corrosion conditions are moderate. Typical applications include chemical tanks, distillery and restaurant equipment. Can also be certified as ER308H. ER 308L Welding wire similar to ER308, but the 0.03% maximum carbon content increases resistance to inter-granular corrosion. Ideal for welding types 304L, 321 and 347 stainless steels. ER 308LSi Welding wire similar to ER308L, but the 0.65-1.00% silicon content improves wash and wet-ability of weld metals. Thus, welding speed is faster than 308 or 308L. ER 309 Welding wire used for welding similar alloys in wrought or cast form. It is mostly used for welding dissimilar materials such as mild steel to stainless steel, as well as for a barrier layer in stainless overlays. Occasionally, it is used for welding 18-8 base metals when severe corrosion conditions exist. For some applications, welding of straight chromium steels can be accomplished with this consumable. ER 309L Welding wire similar to ER309, but the lower carbon content (0.03% maximum) increases resistance to inter-granular corrosion. Aufhauser 309L is preferred over 309 for cladding over carbon or low alloy steels, as well as for dissimilar joints that undergo heat treatment. ER 309LSi Welding wire similar to ER309L, but the 0.65-1.00% silicon content improves wash and wetting behavior as well as bead appearance in the gas shielded welding processes. The weld beads are very smooth as compared with 309L or 309. ER 310 Welding wire frequently used to weld stainless steel of similar composition in wrought or cast form. The weld deposit is fully austenitic and calls for low heat during welding. It can also be used for dissimilar welding. ER 312 Aufhauser ER312 welding wire will weld cast alloys of both dissimilar metals and for weld overlays. ER312 gives very high ferrite. ER 316 Welding wire usually used for welding wrought and cast forms of similar alloys. ER312 contains about 2% molybdenum to increase its creep resistance at elevated temperature. The lower ferrite level of this alloy reduces the rate of corrosion and is suitable for high temperature service applications. ER 316L Welding wire similar to ER316, with controlled carbon content (0.03% maximum) to reduce the possibility of formation of inter-granular carbide precipitation. Used principally for welding molybdenum-bearing low carbon austenitic alloys. ER316L is not as strong as ER316H at elevated temperature. ER 316LSi Welding wire similar to ER316L: but the higher silicon content (0.65-1.00%) improves wash and wetting behavior in the gas shielded welding processes. Weld bead is exceptionally smooth with this alloy. Higher productivity could be realized in MIG welding. ER 317L Welding wire with higher molybdenum content than for ER 316. The reduced carbon content (maximum 0.03%) offers higher resistance to inter-granular corrosion due to carbide precipitation. This welding wire offers extreme corrosion resistance to sulfuric and sulfurous acids and their salts. ER 347 A niobium (columbium)-stabilized stainless steel alloy welding wire used to weld types 321 and 347. ER347 is a stabilized 18-8, 19-9 alloy that is not subject to inter-granular corrosion due to carbide precipitation. ER 410 Welding wire for alloys such as type 403, 405, 410, and 416. It is also used for overlays on carbon steels to resist corrosion, erosion or abrasion. Usually requires preheat (305°F) and post heat treatments (1350-1400°F). ER 630 The composition of this welding wire is designed primarily for welding ASTM A564 Type 630 and some other precipitation - hardening stainless steels.